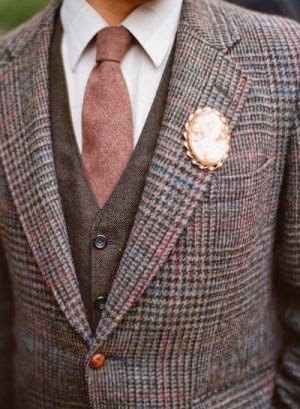 Top Pinterest Trends for Wedding Season! 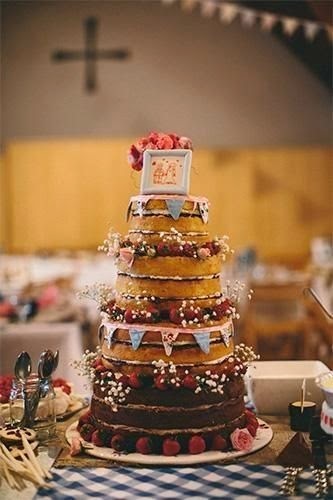 Cakes without traditional frosting are popping up all over Pinterest. 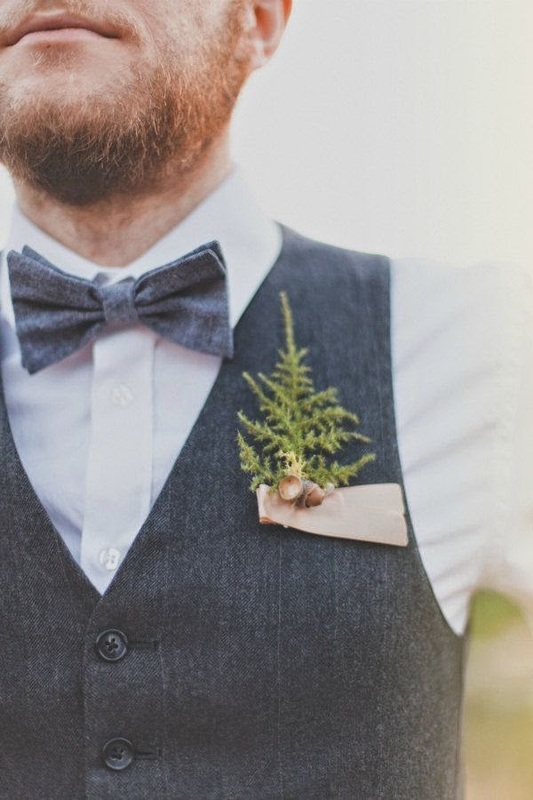 The look is rustic and charming: adorn with berries for a more country-picnic feel, or flowers for an elegant touch. 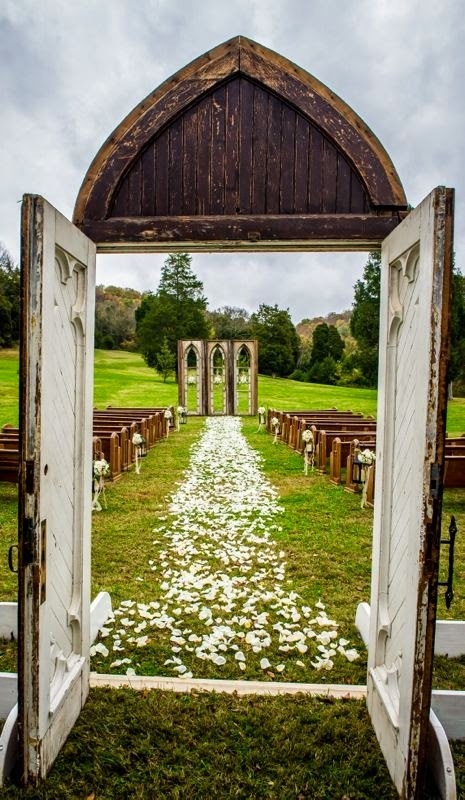 Several recent pins show weddings that re-create traditional chapels in natural settings using pews and door-frames. The result creates a spectacular "cathedral of nature" effect. 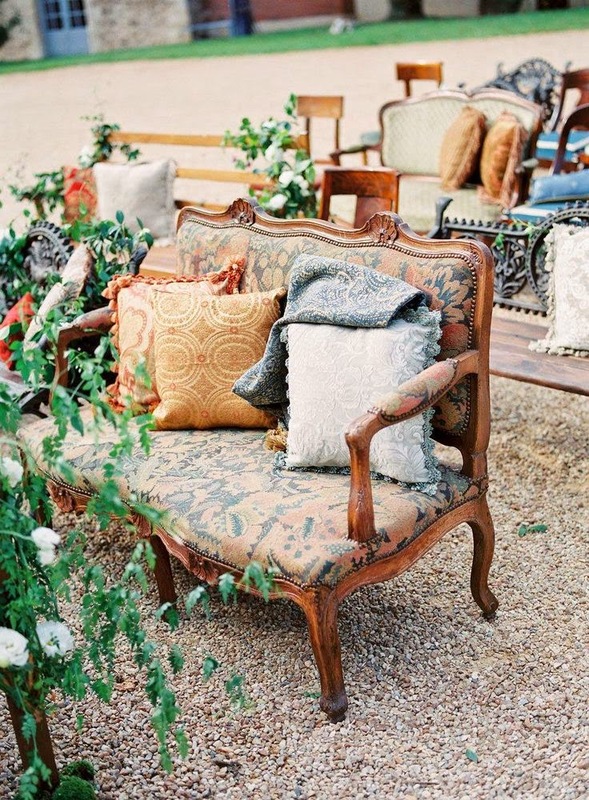 In another similar trend, indoor furniture (tapestried chairs, pillows) can be set up outside for whimsical guest-seating. 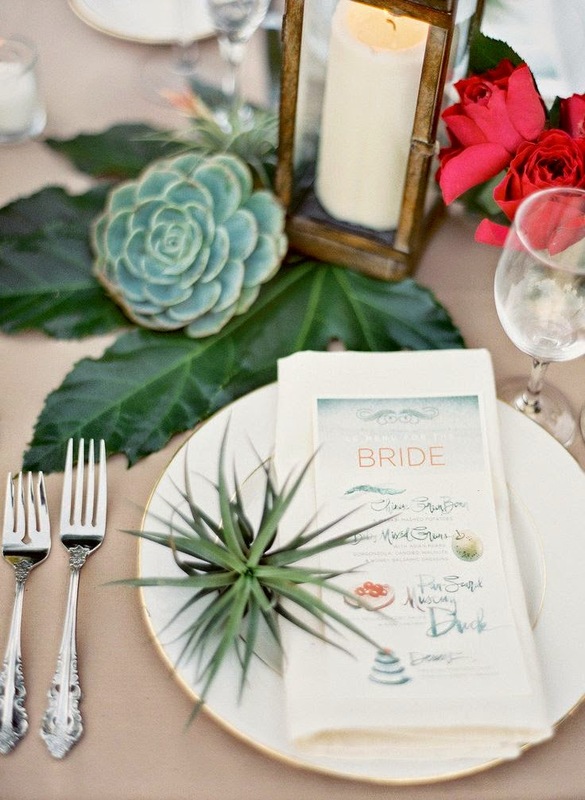 Succulents are the new "it" floral for weddings. 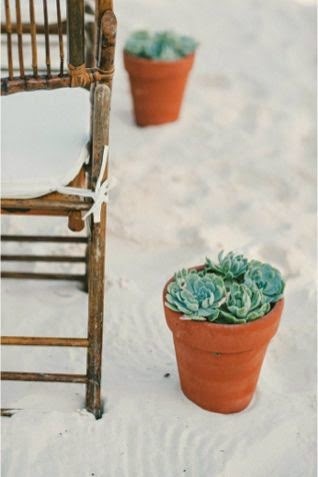 Especially perfect for the Southwestern or beach wedding, succulents add gorgeous shades of green to your wedding decor. 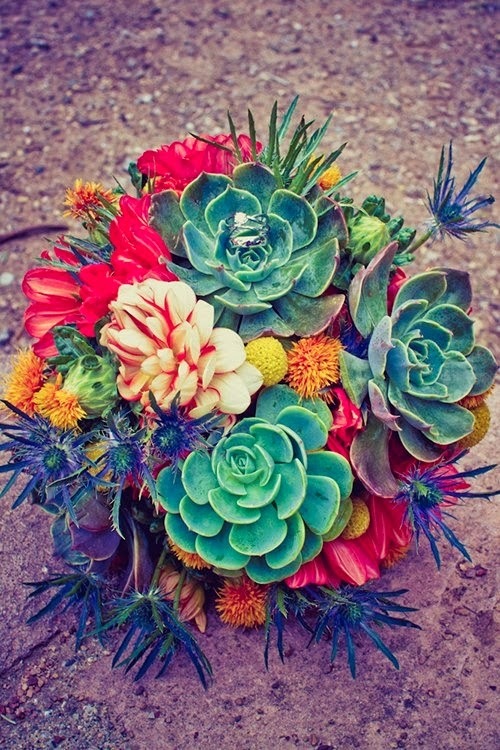 One big plus for succulents (other than their beauty) is their ability to make it through the day without wilting. 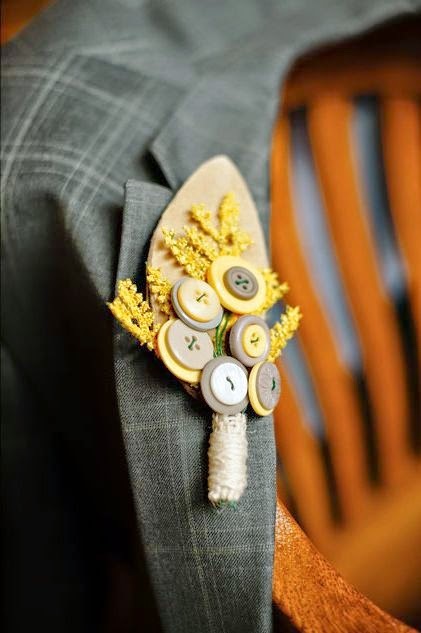 Many grooms are opting for boutonnieres that go beyond a simple flower; instead, pin on a family heirloom, or an item that represents the theme of the day, or something handmade and unique. 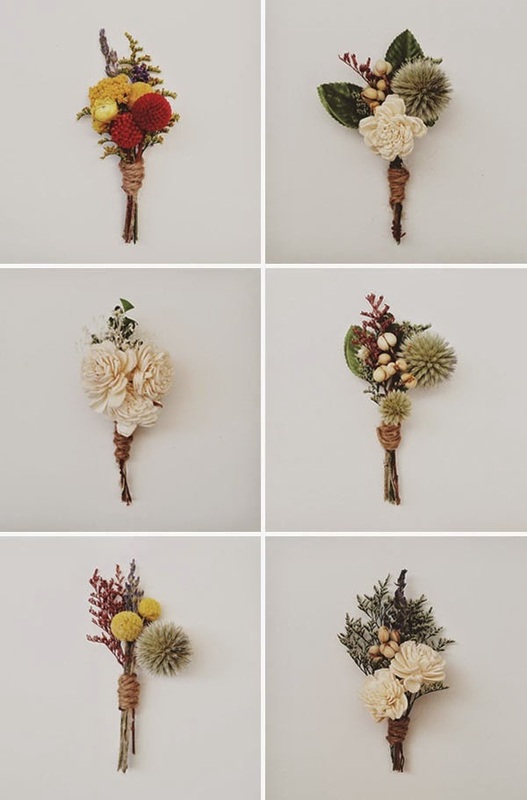 Pinterest abounds with a wide variety of special boutonnieres. 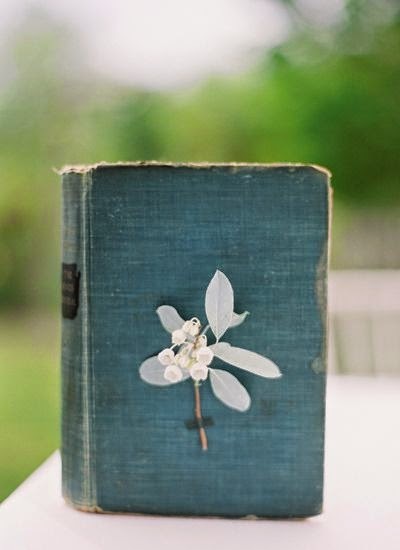 Is it our new be-Kindled society that is making us so nostalgic for the book? 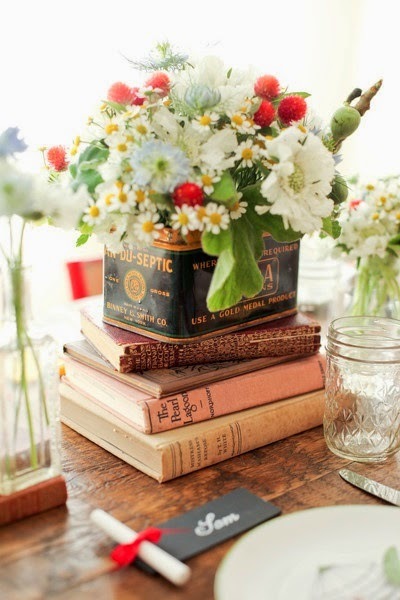 Something is definitely going on, because antiquarian books are showing up everywhere in wedding decor--as table centerpieces, ceremony backdrops, or guest place-cards. 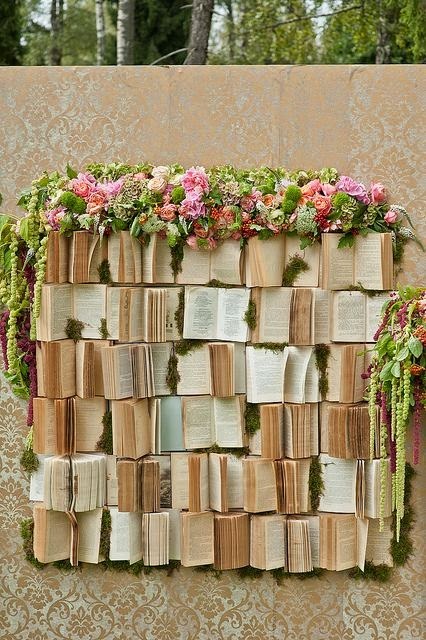 We've seen brides and grooms assign a favorite book to each table (instead of a number), or even have a wedding cake shaped and decorated like a stack of books. 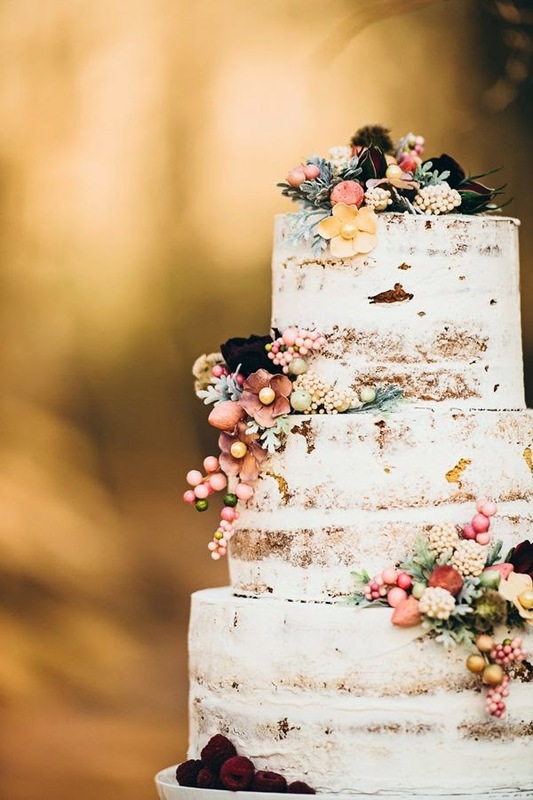 Maybe in 20 years, someone's wedding cake will be a nostalgic Apple computer, but for now, we love this book trend! 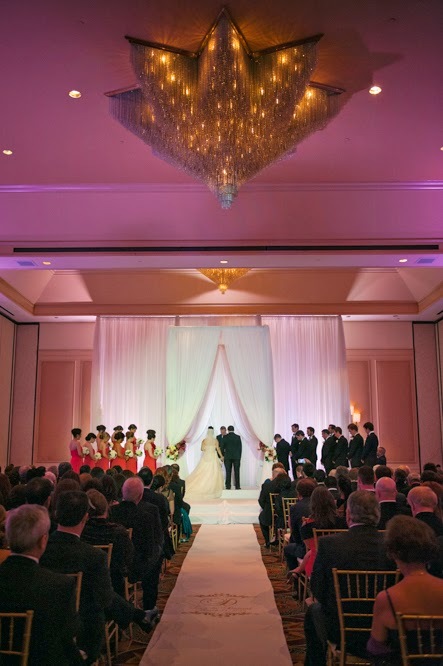 Mixing high elegance with high FUN, Lea and Daniel were married at the Grand Hyatt Atlanta in a ballroom boasting extraordinary chandeliers and hot pink spotlighting. 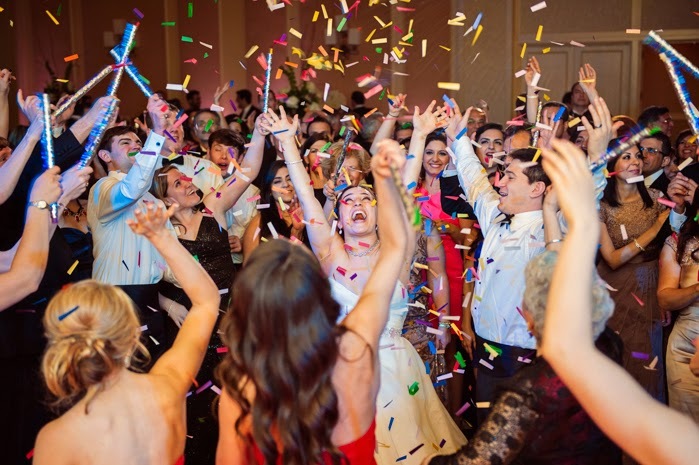 Daniel and Lea added many playful elements to their wedding reception that made us smile: a choreographed bride and groom's dance to N'Sync, for example. 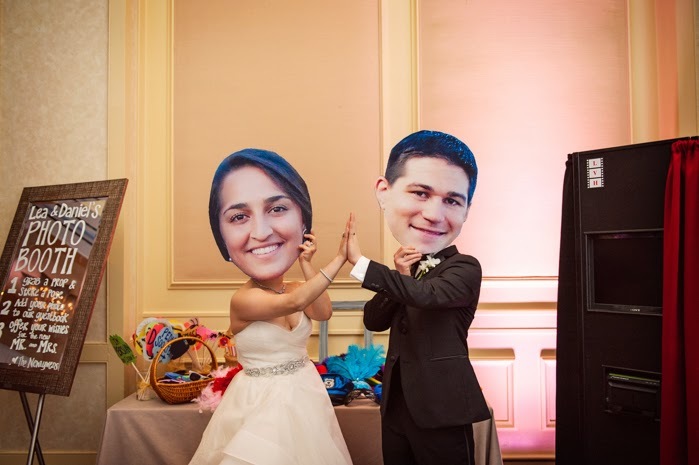 Or this clever photography booth idea: giant cut-out faces of the bride and groom! Guests could use the faces and accompanying props to create silly Lea and Daniel pictures. Confetti on the dance floor also added to the spirit of celebration. 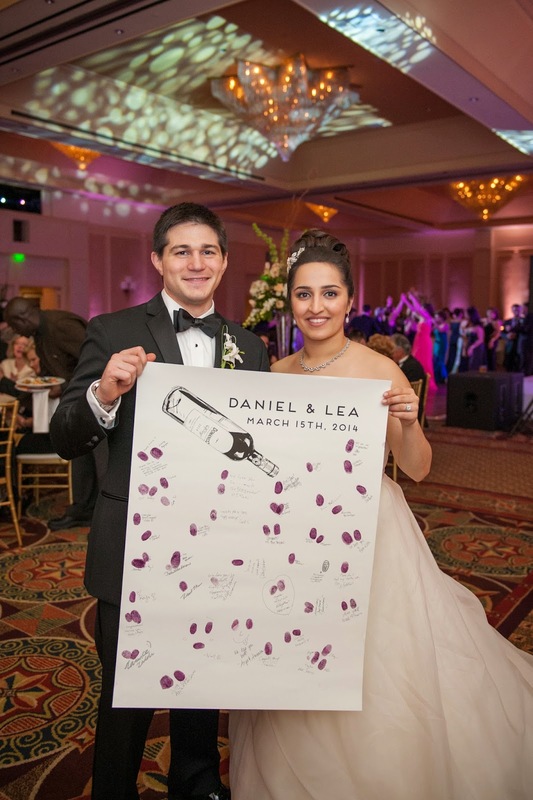 For their Bleu de Toi guestbook, Daniel and Lea chose the Custom Label Thumbprint Wine Bottle. 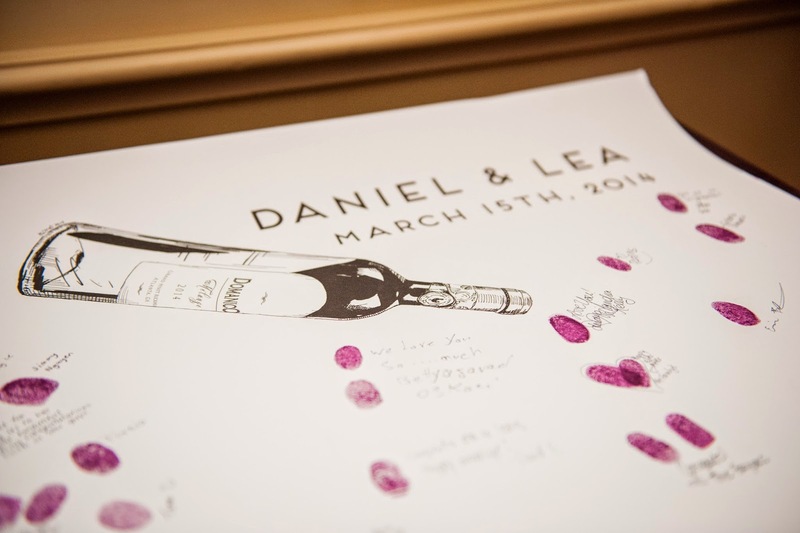 On this drawing, the wine label can be customized with personal details such as the couple's name, the date, and the location of the event. 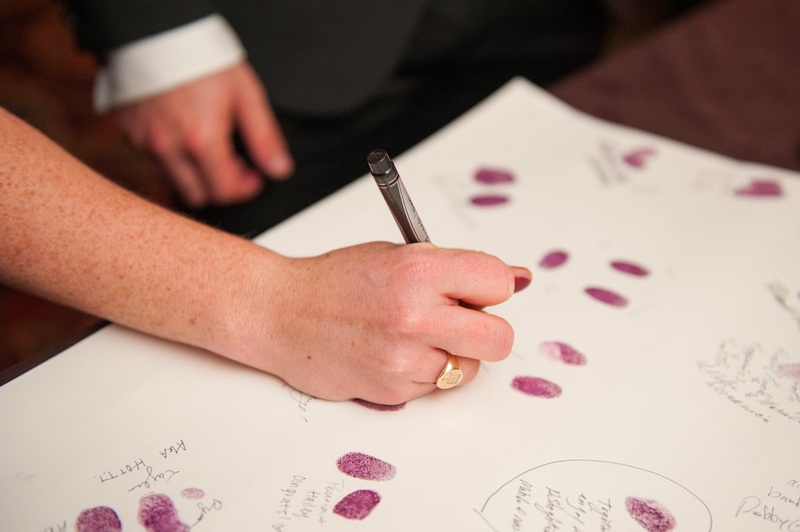 A big thank you to Lacey at Scobey Photography who provided us with these photographs of the guestbook. 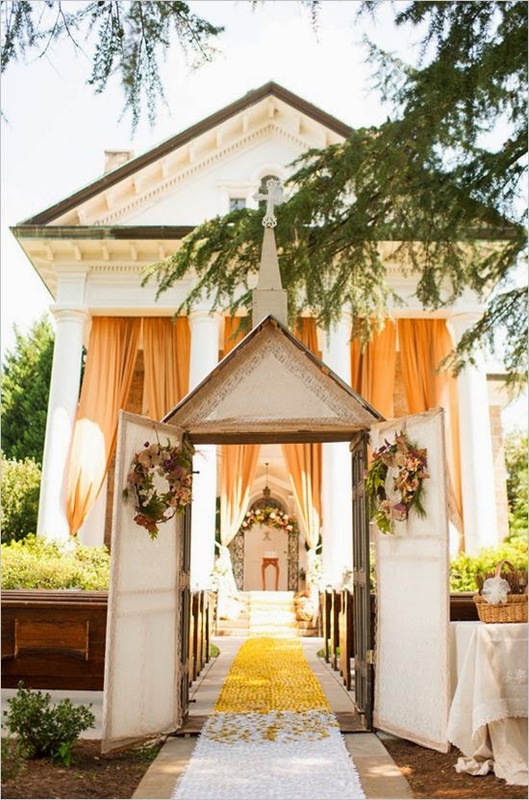 For more pictures of Lea and Daniel's wedding, check out Lacey's website. 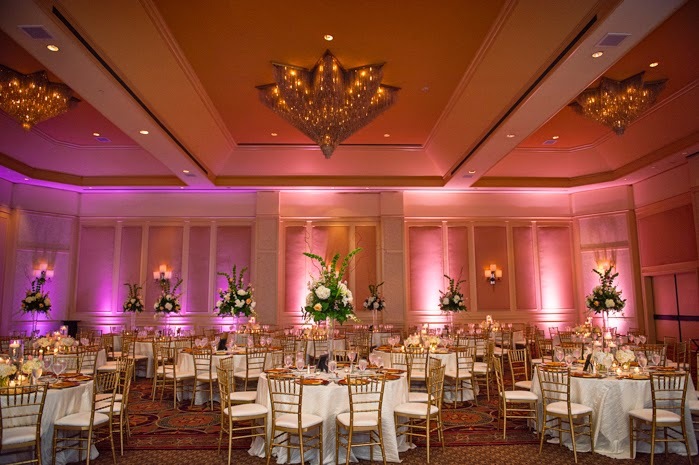 We are excited to announce that we'll be participating in The Great Bridal Expo on April 13th at the Hotel Irvine Jamboree Center near Anaheim, California. This nationally-sponsored tour is a great way for brides to meet wedding vendors face-to-face and see products in person. 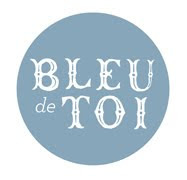 Bleu de Toi will be showing our selection of customizable guest books, which will be available for purchase. 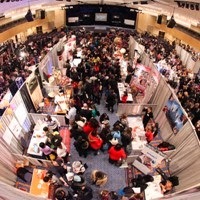 The Expo also features a bridal gown fashion show, free prizes, a live orchestra, and exhibits for every aspect of the wedding planning process. Each booth will be offering free giveaways just for stopping by. 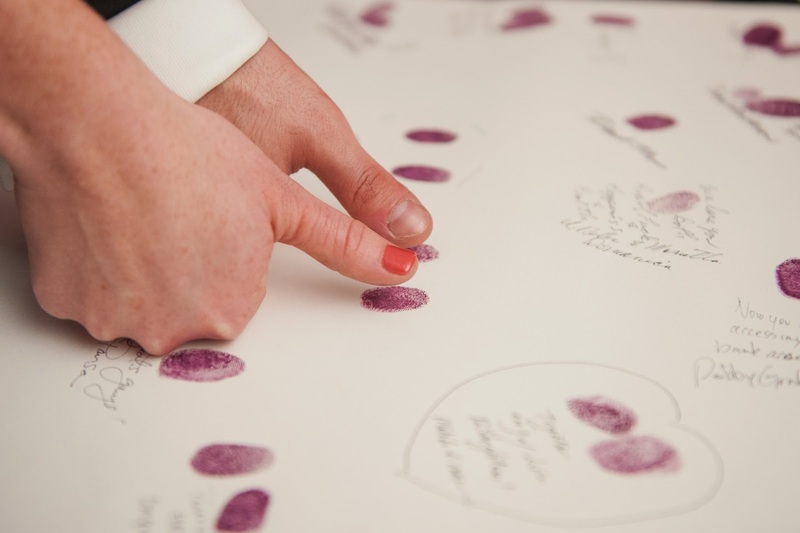 At the BDT exhibit, you'll not only have a chance to see our lovely guestbooks, but you'll also have the benefit of viewing ink colors and evaluating different size options so that you can pick the perfect guestbook for your event. We look forward to seeing you in Anaheim!